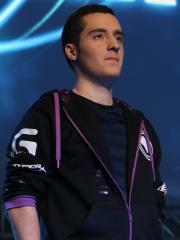 David "Lilbow" Moschetto is a French StarCraft II player. At present, Lilbow is ranked #907 in highest overall earnings, and #24 in highest earnings for players from France. The most money that Lilbow has won from a single tournament was $30,000.00 from WCS 2015 Season 3 Premier on September 13, 2015. He placed 1st, making up 28.32% of his total prize money won. On January 11, 2019, Lilbow reached $100,000 in total prize money won with a $6,699.67 cash prize from his 1st place finish at Overwatch Contenders 2018 - Season 3: Europe. Prize money from 107 tournaments got him to that point. Lilbow has won $561.47 in prize money from a single tournament within the last 90 days, none of which came in the last month.